Arya Stark Goes Time Traveling! 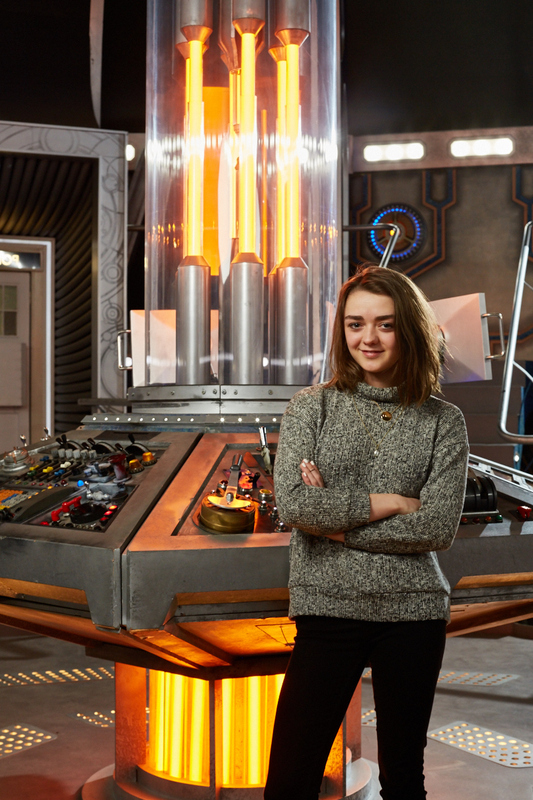 Maisie Williams – Game of Thrones’ Arya Stark – has signed to guest star on the BBC’s number one sci-fi export, Doctor Who. Season Nine of Doctor Who is currently shooting – new episode titles revealed today were The Girl Who Died written by Jamie Mathieson and Steven Moffat, and The Woman Who Lived by Catherine Tregenna. Sounds like a two-parter to me. For further details, follow the jump. BBC AMERICA delivers U.S. audiences high-quality, innovative and intelligent programming. Established in 1998, it has been the launch pad for talent embraced by American mainstream pop culture, including Ricky Gervais, Gordon Ramsay, Graham Norton, and successful programming formats including ground-breaking non-scripted television like Top Gear and top-rated science-fiction like Doctor Who. A joint venture between BBC Worldwide, the commercial arm of the BBC, and AMC Networks, BBC AMERICA has attracted both critical acclaim and major awards including four Emmy® Awards, five Golden Globes® and 12 Peabody Awards. The channel attracts one of cable’s most affluent and educated audiences and is available on cable and satellite TV in nearly 80 million homes. It broadcasts in both standard and high-definition, with content available On Demand across all major digital platforms. Online, www.BBCAmerica.com is the place to go to dig deeper into pop culture with a British twist. Find out more by visiting www.Press.BBCAmerica.com/ or follow us on www.twitter.com/BBCAMERICA. Previous PostToo Mundane Or Not Too Mundane Trailer: Shooting Clerks!Next PostAge of Ultron: Meet Sinister Siblings Scarlet Witch & Quicksilver!